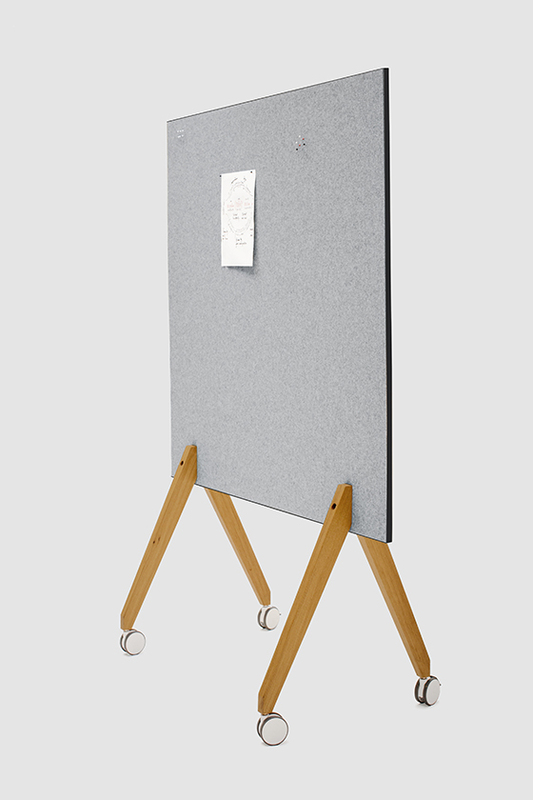 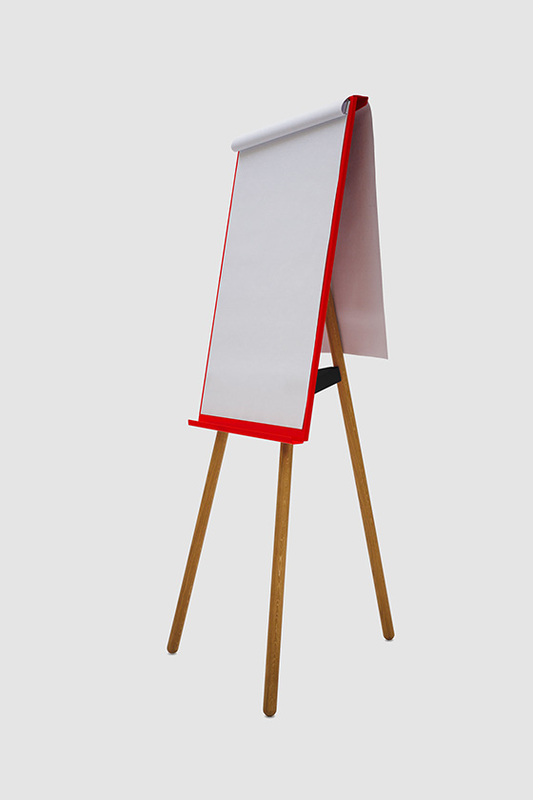 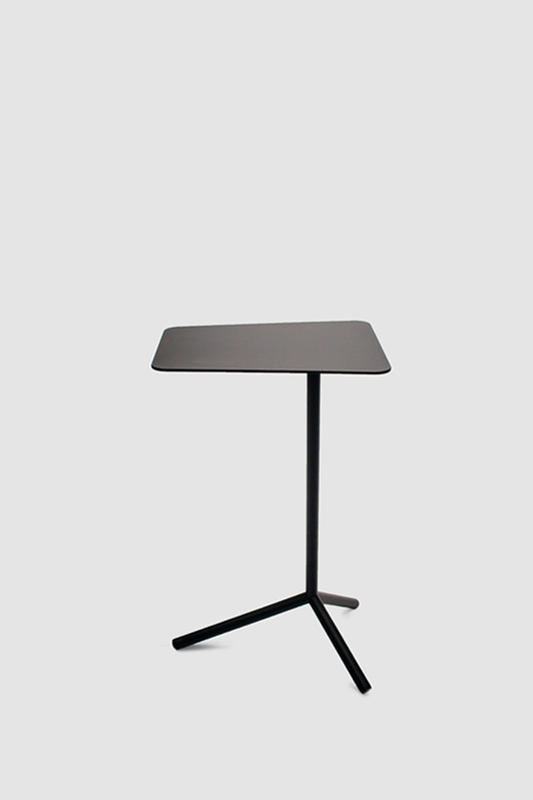 Foldable can be used as a flip chart and is compatible with any standard block with 50 cm hole spacing. 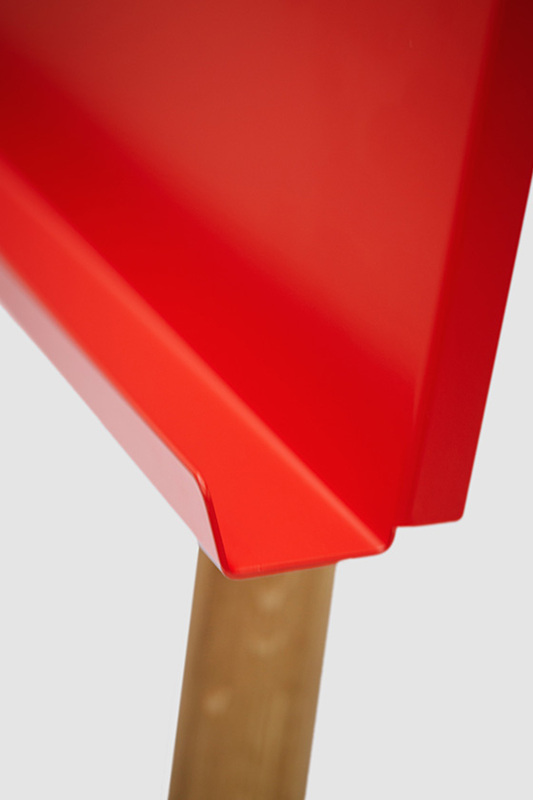 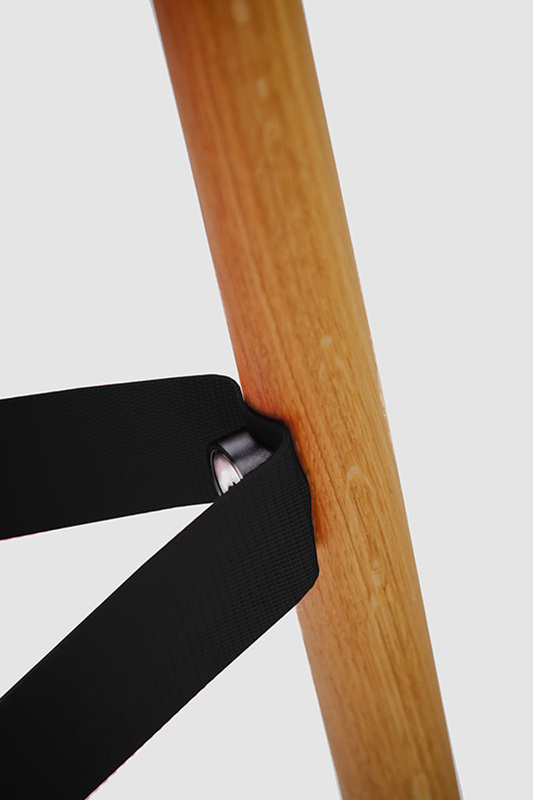 The pad is easily attached onto two attachment pins and secured using the tearing bar. 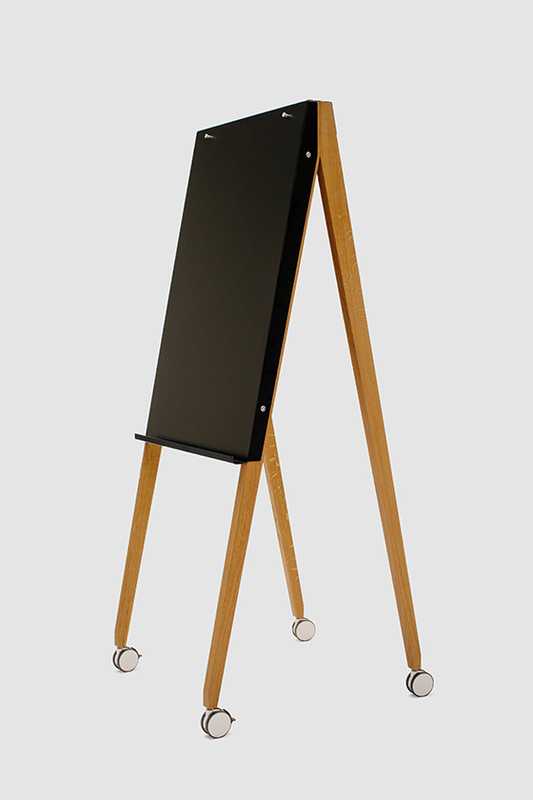 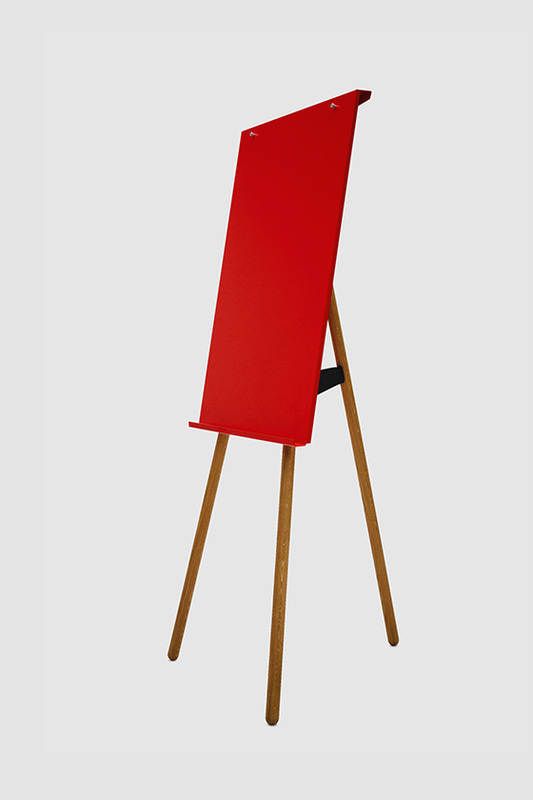 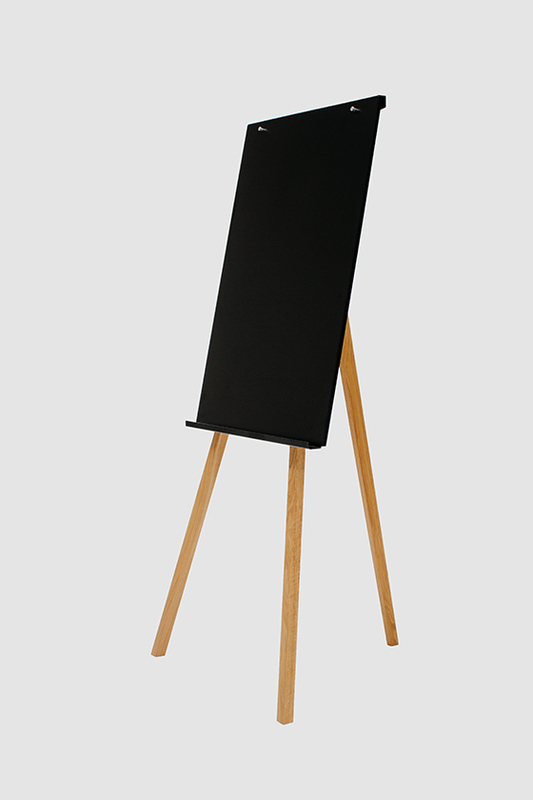 The board is made of powder-coated, magnetic metal and in addition to black, is also available in white or any RAL tone on request. 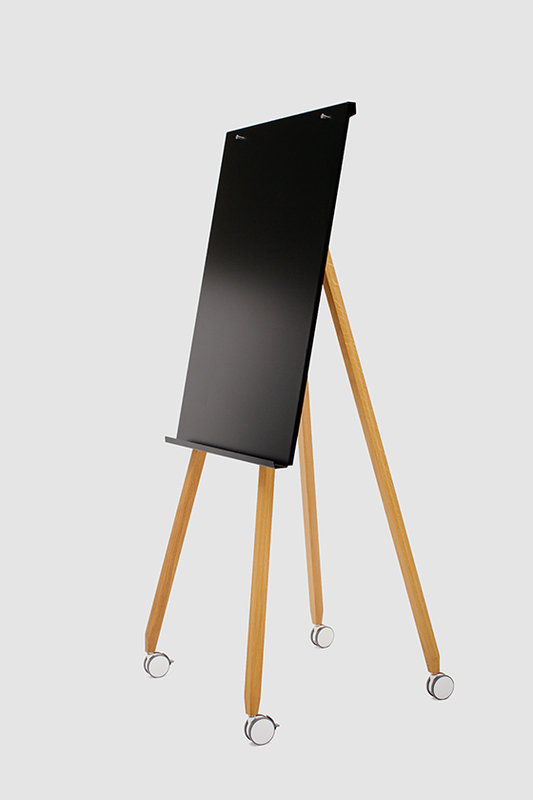 Its legs are made of white aluminum or oak wood.